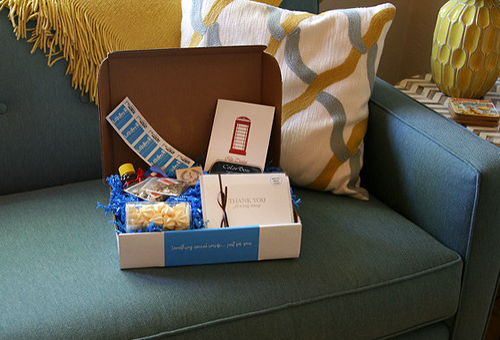 I have been meaning to write about our very own little subscription box sensation LetterBox by Sky of Blue Cards for months now and I finally have a moment to do it! The story goes like this: last September we launched LetterBox and so much has happened since then. But… the story really began last summer. One weekend I had an idea to start a subscription box that would include our letterpress cards, postage stamps, letter-writing accoutrement, and some other goodies that I love. 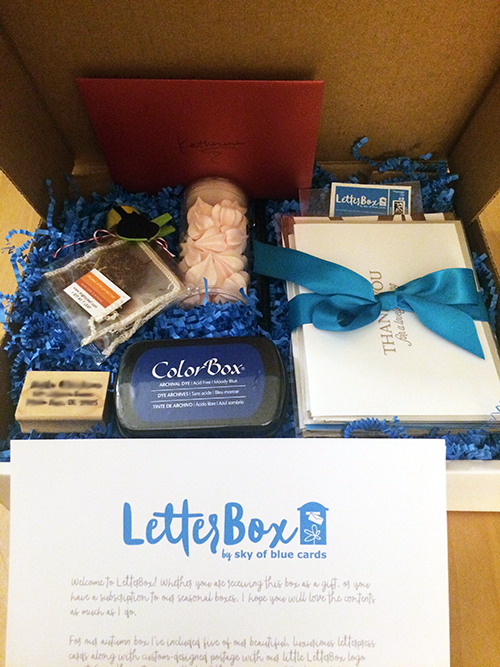 I didn’t want it to be just any stationery subscription box, I wanted our box to provide the subscriber with an experience. I wanted the person receiving the box to have everything they needed in our box to be able to unplug from the hustle and bustle of their life, light a candle, pour a cup of tea, and settle in to some good old fashioned letter-writing and connect with the people they care about. 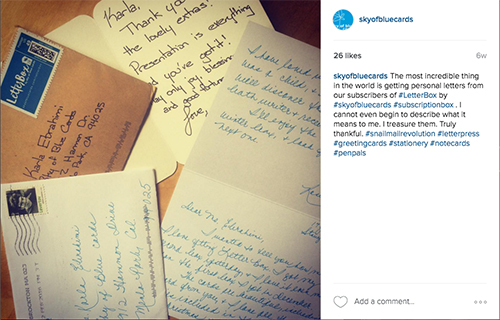 There is a hashtag out on social media that I love – #snailmailrevolution – and that is exactly what I wanted our LetterBox to be a part of: A revolution of writing letters and cards. By hand. With a pen. And sending them. By mail. With stamps. A lovely concept. You can order yours here! 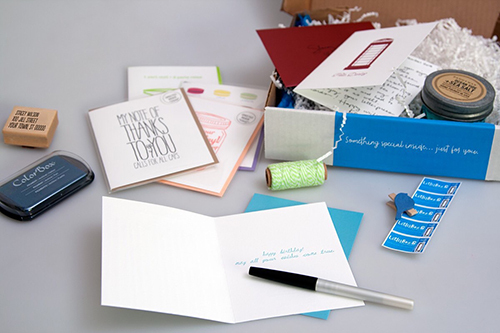 Just to give you a quick description of LetterBox… it is a seasonal subscription box that always includes 5 letterpress greeting cards, 5 special-designed U.S. postage stamps, as well as at least two luxe lifestyle items and letter-writing accoutrement. Each season these luxe items are lovely surprises and might include my favorite soy travel candles, wine bottle tags, coasters, writing pens, relaxing herbal teas, or special Fleur de Sel caramels from my favorite shop in San Francisco. 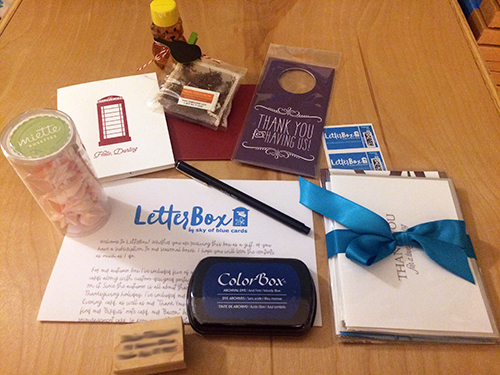 LetterBox may also include letterpress paper items not sold in stores and available only to our LetterBox subscribers. 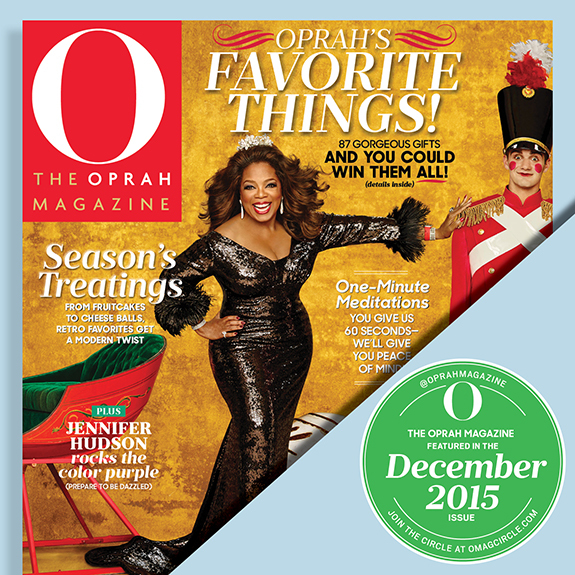 Subscription options include Four Seasons (full year), Two Seasons (6 months), or Single Boxes (great for gifts!). 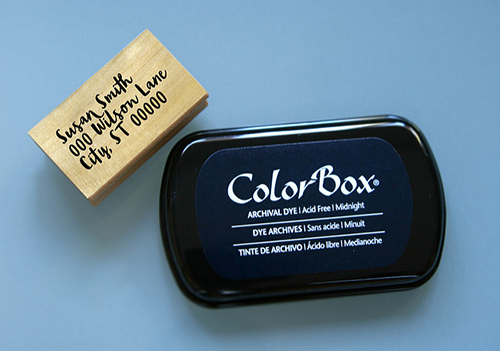 Our Four Seasons subscribers receive a custom-made, beautiful solid Maple block stamp with their name and address on it accompanied by an ink pad to address their envelopes in style. As I mentioned, we launched last September with our Autumn LetterBox and since it was the season of Thanksgiving our theme was “Thanks/Gratitude”. We included 5 letterpress cards and 5 of our signature U.S. postage stamps, as well as one of my favorite writing pens by Le Pen, a set of our most popular “Thanks For Having Us” wine bottle tags, a tube of “Rose Geranium Rosette Meringues” from the world-famous Miette bakery in San Francisco, as well as my favorite “Organic African Nectar” tea by Mighty Leaf Tea and an adorable little honey bear containing locally harvested honey from Garden Apothecary in Half Moon Bay, CA. Super sweet. Check out the pics (sorry I had to smudge out the address on the maple block stamp for this post). This happened. And it was nuts. Just completely nuts (in a very good way!). 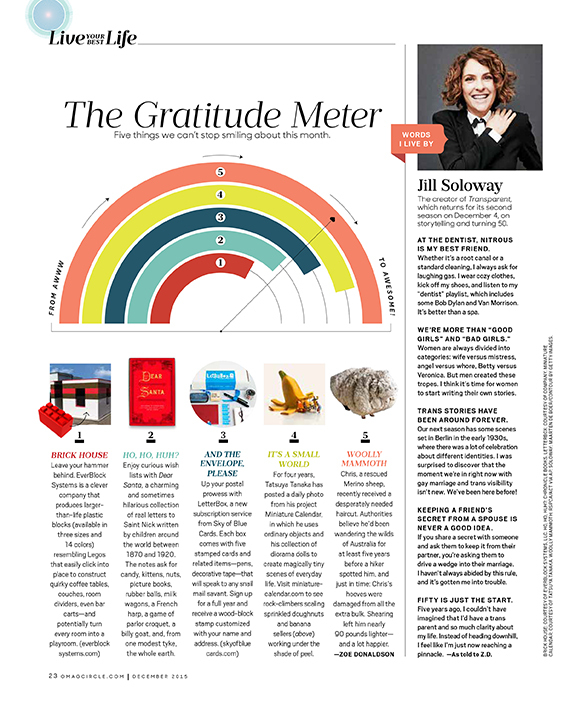 We were featured in O Magazine’s most popular “Oprah’s Favorite Things” issue in the “Gratitude Meter” section. Thank you, Oprah! Shortly after O Magazine came out, this article was published on Forbes Online and it continued to be weeks and weeks of insanity, but we were having so much. 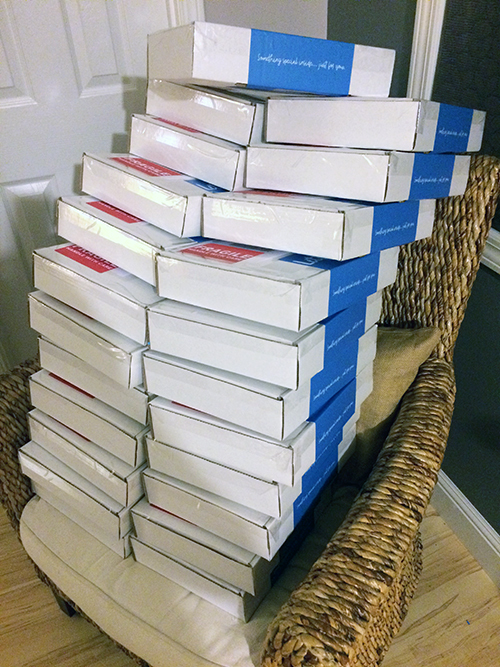 Orders came in from husbands buying subscriptions for their wives, mothers for their daughters, sisters for sisters, sisters for brothers, brothers for sisters, husbands for husbands, wives for wives, best friends for each other, and mostly people just buying it for themselves. The editor for O Magazine told us that LetterBox was exactly the kind of product that their readers would love, and she could not have been more precise with that statement! We began to hear from some of our wonderful subscribers saying how much they loved their LetterBoxes. They’d write letters to me, email me, send messages to us via our website, or post images of their LetterBoxes on Instagram. Honestly, it continues to be the best thing I could have ever imagined and it warms my heart to no end. 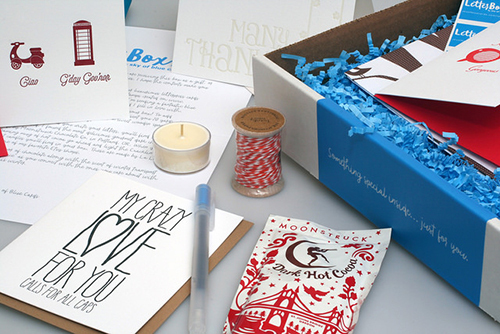 In December we began shipping the winter LetterBox which was all about LOVE. It included 5 letterpress greeting cards, 5 of our signature U.S. postage stamps, a sheet of our “Hearts” or “Trees” gift wrap, a sweet spool of twine from one of my favorite Etsy shops In The Clear, two gorgeous smelling tea light candles in “Cracklin’ Birch” scent (seriously, I got a lot of messages about these candles) from another favorite Etsy shop called LaLunaCrafts, a packet of the best hot-cocoa mix I’ve ever had by Moonstruck Chocolate Co., a blue gel pen from MUJI, and a cute little glitter clip. The LetterBox story continues and we have already begun shipping our spring LetterBox, and in a few days I’ll be unveiling its contents as well – one word SUNSHINE!